Board back envelopes from MS packaging serves the rightful need of the huge market with these manila and gold board back envelopes. 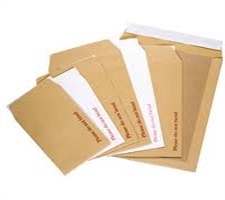 These envelopes are perfectly used to send documents and offer high protection with its high quality material used. Available in various sizes, you can get your required quantity and size from here.